Property 9: Book your summer travel today!!!! Property 11: Book a week in the summer and receive $100 off . Now through April 30th. Property 12: Rest and Relax in The Pocono Mountains! Hot Tub Included! Property 17: Fall/Winter in the Poconos! Hiking, Skiing, S’mores, Indoor Water Parks/ more! Property 19: Beautiful chalet! Pets OK-Game Area-Fireplace-WiFi-Close 2 Slopes! Property 22: Spring into a great place to stay! Property 23: Beautiful New Pocono Chalet! Wait to see this one! Property 24: COZY & CLEAN! 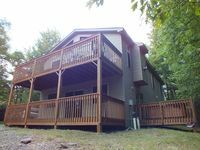 2 BR Pocono MTN Chalet w GREAT location! Property 26: Think Spring! Now booking for Spring and Summer. Property 28: BEAUTIFUL CHALET! WINTER DEAL! SKI/TUBE/RELAX 7 MIN TO SKI BIG BOULD/JACK FROST! Property 31: Pocono Chalet Lakehouse/Lakefront/Beachfront Vacation Home. Truly one of a kind! Property 32: Waterfront, Central AC, Walking distance to Island Pool, Lake, & Playground. Property 34: Pocono spring special $800 week during Spring break. Dog friendly. Property 42: Lake Naomi Club, Memorial Day,Check our Spring and Summer specials, Reserve NOW! Property 44: Come Enjoy the Poconos the way they were meant to be Enjoyed! 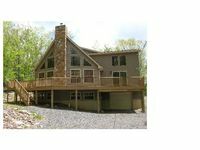 Property 46: New Beautiful Pocono Chalet, Private Wooded Lot. Property 48: DISCOUNT RATES FOR MAY! YOU WILL NOT BELIEVE WHAT THIS CHALET HAS! Property 50: Treehouse in the woods, with Master loft. Minutes from skiing! The house was in immaculate condition. There was enough room for everyone as well as enough to do in the house such as pool, air hockey, ping pong, the hot tub as well as the spacious decks. Don was excellent to work with and got back to me on any questions I had. Would stay here again without a doubt. We visited from Michigan for our children's spring break. The house was great, good location with everything needed was there. The hot tub was great!